This venerable Toronto band now has 16 studio recordings under their belt (depending how you count). This, like 2010’s Remnin Park and 1996’s Lay It Down, is easily one of their best from the back half of their discography. It’s their first album of original material in eight years, so maybe guitarist Michael Timmins has been quietly crafting this strong set of songs since then, or maybe his work with Tom Wilson’s Lee Harvey Osmond inspired him here. Or maybe they finally realized what their secret weapon has been for 35 years now. As a longtime fan, I’d propose this theory: the best Cowboy Junkies albums are the ones where bassist Alan Anton is brought to the fore. Why? Anton’s a fine bass player, but certainly not showy, and melodic only when he needs to be. He’s less noticeable than the musical genius of Jeff Bird, who provides musical colour on a variety of instruments, and it’s Michael Timmins who provides most of the fireworks—subtle and otherwise—during his guitar solos’ unique take on bluesy psychedelia, which are still refreshingly raw after all these years, refusing to succumb to slickness. Singer Margo Timmins is reliably consistent, engaging, and gets even better with age (as does drummer Peter Timmins): but on the band’s lesser records she can’t prop up a weak song on her own—and thankfully she doesn’t have to here. So what is it about Anton? It’s less about what he actually plays, than the fact that when he’s up front in the mix beside Margo, everything else that makes the Cowboy Junkies great is dispersed judiciously for maximum effect. Less has always meant more for this band; the more layers they pile on, they less effective they’ve been. When those guitar swirls dance in and around Anton’s bass lines—regardless of the tempo—they weave a magical tapestry that elevates this band above all others in the same wheelhouse. It’s not what you have: it’s how you use it. All that said, one of the best songs here is the closing track, “The Possessed,” which is mostly just Margo and a ukulele. And no, it’s not remotely twee, in part because, 30 years after “Misguided Angel,” this band still writes great songs about Satan. Elsewhere, All That Reckoning is filled with the distemper of the day, with musings on hate and fear and a chorus that goes, “Sing me a song of America.” But it never gets clunky or preachy; Michael’s is too careful a writer to do that, and his character studies are as vivid as always. Just like the accompanying music, everything is in its right place. A comeback? Not exactly. 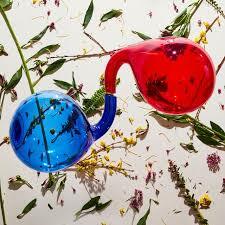 Dirty Projectors do not have a big enough profile for this, their seventh record, to be considered that. But things went off the rails on last year’s self-titled record, on which singer/guitarist Dave Longstreth wrote exclusively and rather explicitly about his breakup with former bandmate Amber Coffman. It was uncomfortable listening, both musically and lyrically, and it came after two records that vaulted the band from avant-garde campus radio obscurity to crossover possibility—especially when Jay Z, Beyoncé, the Roots and Vampire Weekend professed to be fans, and Longstreth contributed to Solange’s last record. Lamp Lit Prose is the natural successor to 2012’s Swing Lo Magellan that the 2017 album was not: it takes modern R&B, West African guitar, prog rock and experimental art music and somehow crafts pop music out of all of that. Longstreth’s lyrics are often as playful as the music (“She is so wow / Middle Earth highbrow”), and so no matter how ambitious the music might be, it swings and bounces and has the lyrical levity to go with it—often sung in a Prince-like falsetto. And yet Longstreth also manages to weave in geopolitical angst (“That’s a Lifestyle”) and clinical depression (“Zombie Conqueror”) amidst odes to a new love and lease on life (“I Found It In U”). Despite the loss of Coffman, there are plenty of female vocals throughout, some courtesy of guests Haim, Empress Of, Dear Nora and The Internet’s Syd. Other cameos include Rostam Batmanglij of Vampire Weekend and Robin Pecknold of Fleet Foxes. 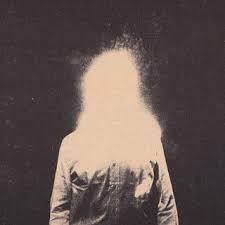 Jim James is bored easily. That’s obvious if you listen to his discography with My Morning Jacket from top to bottom: they branched out and evolved considerably from their quiet acoustic beginnings, into a psychedelic, reggae-tinged, Southern rock jam band—and whatever else it is they do. 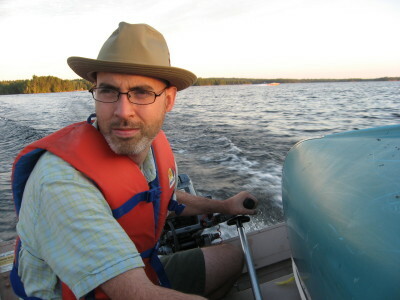 James has made several records collaborating with other songwriters, including the Monsters of Folk project. His own solo records drew from his quieter, spookier moods. Not this one. Uniform Distortion is a loud, sloppy rock record, not unlike My Morning Jacket at their most raucous. Though it’s hard to imagine that band’s broad template being a constraint of any kind, James obviously felt the need to let his hair down and rock out on his own, to “dance like no one’s watching,” as he sings on “Yes to Everything.” Uniform Distortion opens with the line, “Here I stand, going through the motions with a mic in my hand,” and he seems determined not to do that here. “I wanted it to be really nasty and really flawed and just really human,” he told Salon. The songs were written quickly, but, with few exceptions, do not suffer for it. Many of his signature traits are here: the rich, country-rock vocal harmonies, the melodic guitar solos, the best parts of ’70s rock filtered through very modern recording techniques. It’s been said before, but remains true: this band is the Blue Rodeo of America. Long-running, plenty of lineup changes, and a fairly consistently solid body of work. Unlike Blue Rodeo, the songwriting partnership that started this band splintered long ago; Gary Louris has been captaining the ship ever since. 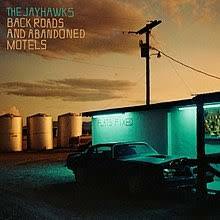 Also unlike Blue Rodeo, the Jayhawks’ tenth album is as good an entry point as any: it’s one of their finest. with one of the biggest Caribbean festivals in North America, one would expect that we would have more to show than that—and Snow. We could count Drake’s attempts at dancehall, but… nah. John Orpheus is a Trinidadian-born Torontonian, who grew up listening to Outkast and singing in Pentecostal and Baptist churches. He immigrated to Canada to study English at the University of Waterloo. His debut EP (following three mixtapes in 2017) is brimming with pop hooks, island rhythms, and a global outlook gleaned from Ghana’s Afrobeats scene; his drummer, Sarah Jane Riegler, travelled there to listen and learn. 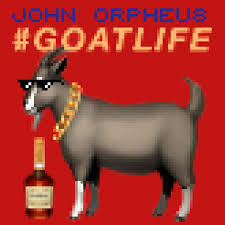 Everything about Goatlife glitters: the production is totally pro, the songs are catchy as hell, and Orpheus has charisma to burn. He has a lot to say, on and off stage, and is more than ready for prime time. This artist, who started her career as a songwriter and A&R rep, may well be a bit of a control freak, releasing three perfect pop albums over the past 12 years. So for fans to get this so-called “mixtape” a mere two years after her last record is a minor blessing. What makes this a “mixtape”? That antiquated term from hip-hop culture is all but meaningless now, in the age of Soundcloud mixes and Drake claiming that Views was “a playlist.” But mostly the mixtape is understood to be something tossed off rather quickly, something released without fanfare, something that acts as a stopgap to test out new ideas and satiate fans. The Gold Fire Session was recorded in the final weeks of the 41-year-old artist’s recent pregnancy, but there’s nothing here that would suggest this is some kind of slapdash affair. 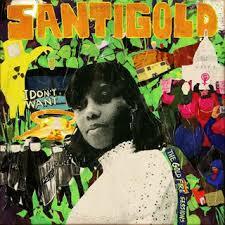 Santigold writes great pop songs even when she’s clearly not trying that hard, and her love of dancehall, roots reggae and ’80s pop combine to make this a perfect summer record. Her main collaborator here is producer Dre Skull, best known for his work with dancehall MCs Popcaan and Vybz Kartel, and the Drake/Rihanna track “Too Good.” Some tracks have earlier origins with members of Major Lazer, including one with Diplo, and several from an unfinished movie musical with Ricky Blaze.